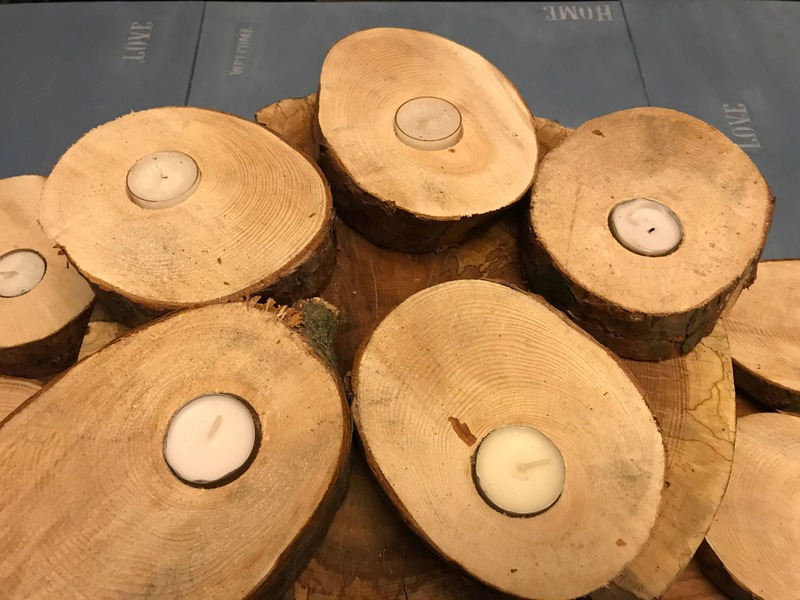 Rustic Wedding Candleholders; Rustic Slice set of 8, made from reclaimed wood, ethical wedding table centrepiece. 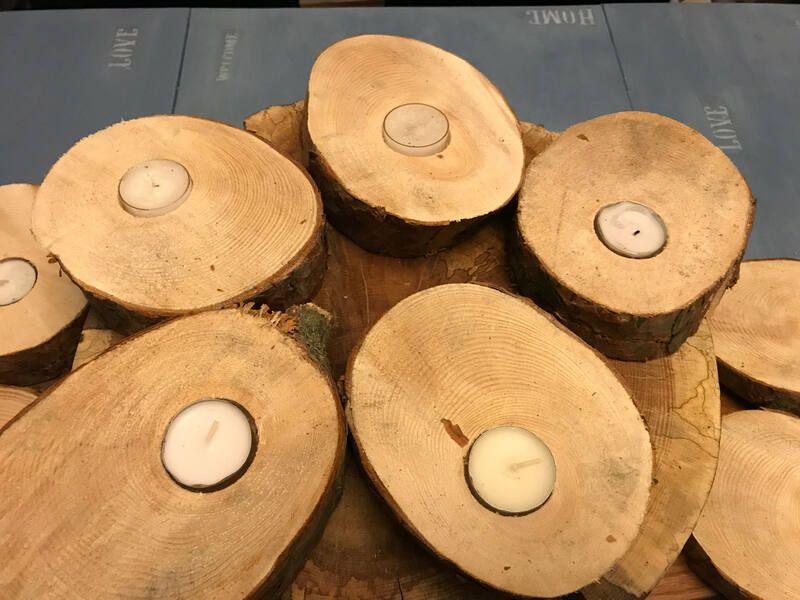 These natural wooden tree slices have been handcrafted into wonderful rustic wedding candleholders or centrepieces. 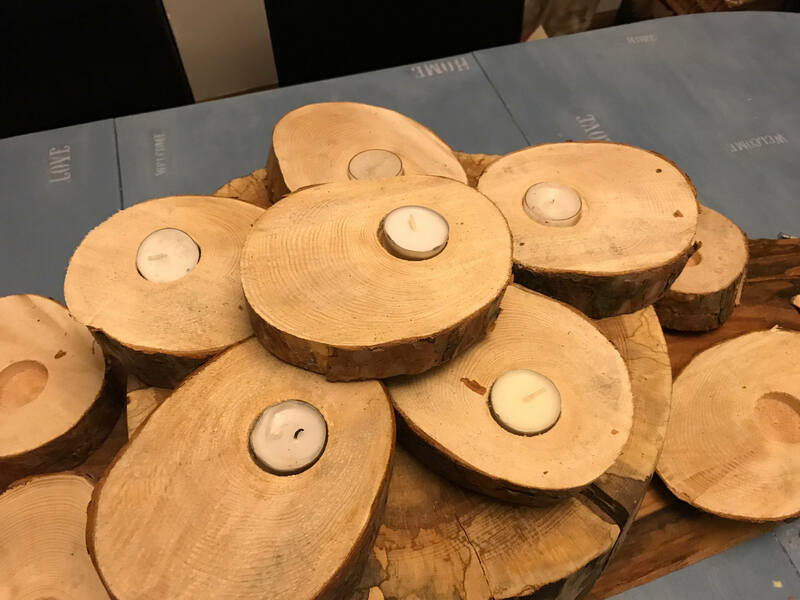 Add a rustic slice and some flowers for a natural centrepiece on each table. 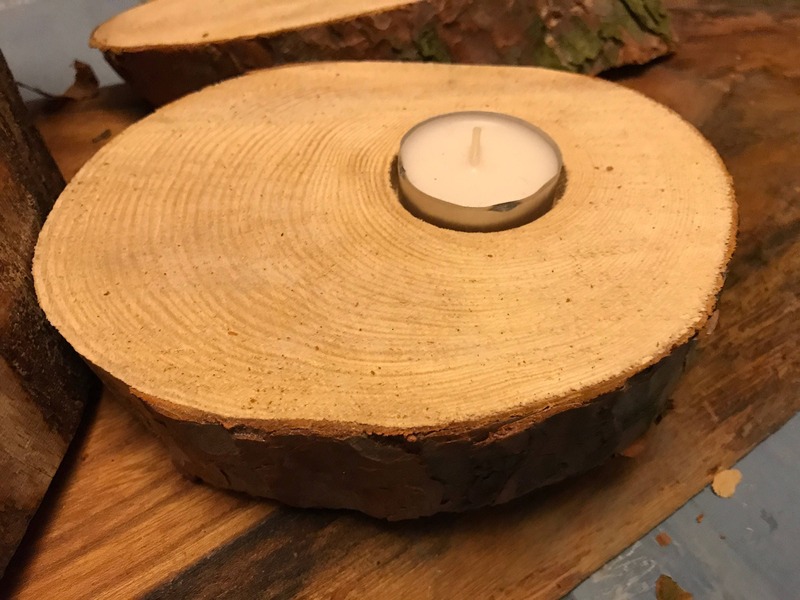 The tree slice candleholders are sourced from sustainable forests in central Scotland . This the size colour and shape varies from slice to slice , however this adds to their authenticity . The bark is still 'live' and parts may flake off. 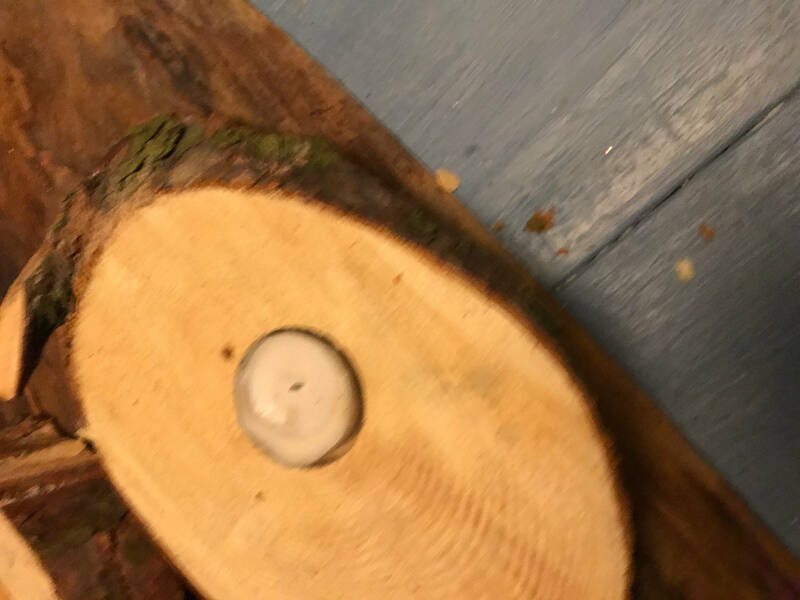 If this is an issue they can be easily stuck on with wood glue. 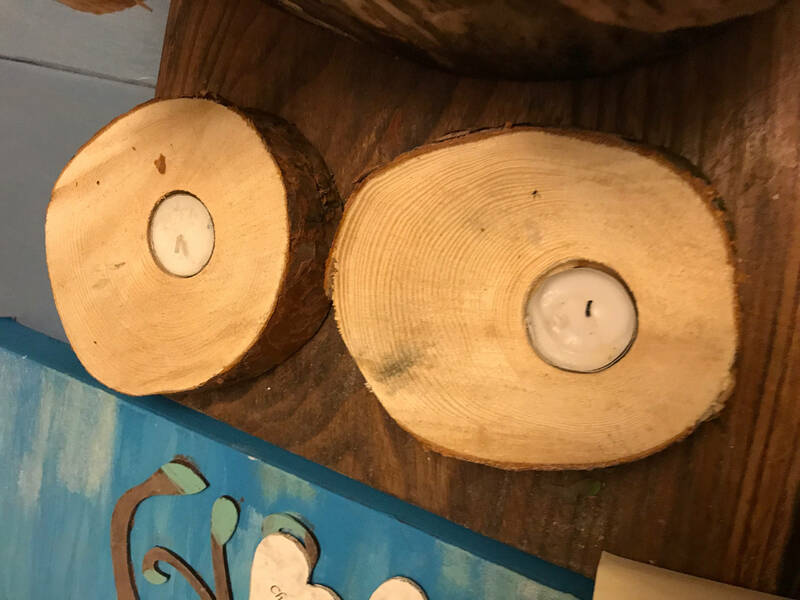 Each candleholder is between 4 and 6 inches wide and approx 1.5 inches in height . 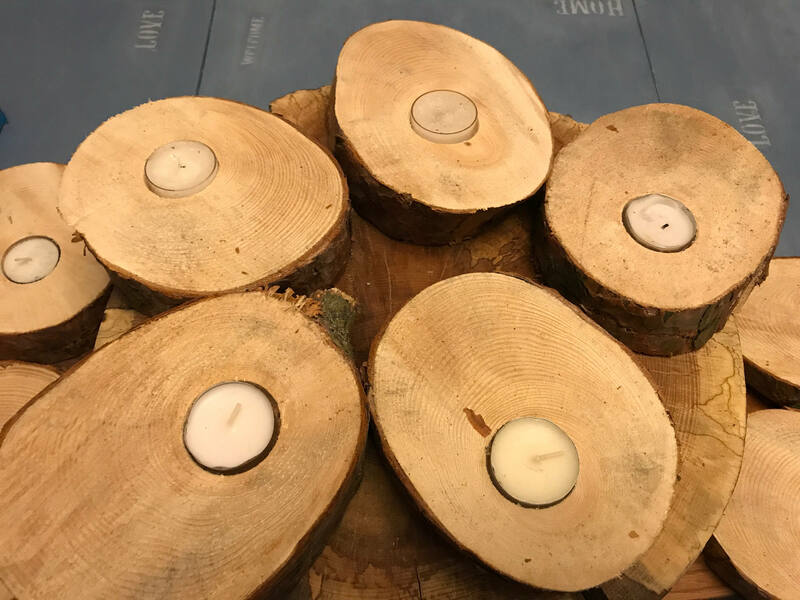 The wedding candleholders come packed and ready to use however I would recommend keeping them unpacked and in dry conditions, to allow them to 'breathe' and prevent any damp coming through. Please contact me if you have any further questions or would like to request a custom order . I am always happy to help .